To the many Americans who today are uncertain about their future, the 1963 march taught valuable lessons on racial equality and opportunities for "working folks," he argued. The remarks, days after the president spoke on race and the Trayvon Martin case, came while he was on a campaign-style economic tour. "Racial tensions won't get better; they may get worse, because people will feel as if they've got to compete with some other group to get scraps from a shrinking pot" if individuals do not see a stable fiscal future, Obama said. "If the economy is growing, everybody feels invested. Everybody feels as if we're rolling in the same direction," he continued. Obama's midweek schedule looked familiar to watchers of his 2012 campaign and first White House term, when he favored speaking to crowds at colleges and businesses around the nation over Washington venues when advocating his economic priorities. After visiting universities in Illinois and Missouri and speaking on the importance of education to the economy, he flew to the port in Jacksonville, Florida, where he called for investment in infrastructure. On Monday, he will speak at a Tennessee shipping center about manufacturing, jobs, and economic growth; then on Wednesday, he will travel to Capitol Hill to meet with Democrats in the House and Senate. He cast aside the questions about such issues as the National Security Agency leaks, Internal Revenue Service political scrutiny and U.S. handling of the Benghazi, Libya, attack last September. "With an endless parade of distractions, political posturing and phony scandals, Washington has taken its eye off the ball," he said, although he was not specific about which controversies he was referring to. The White House plans to continue the economic push into the fall. In the same time frame, he is also expected to make perhaps the most important economic decision of his second term: naming a new individual to chair the Federal Reserve. Ben Bernanke's term as chairman is set to expire in January. Obama told the Times he wanted someone who would go beyond tracking inflation and focus on market stability. "The idea is to promote those things in service of the lives of ordinary Americans getting better," he said. "I want a Fed chairman that can step back and look at that objectively and say, Let's make sure that we're growing the economy." He disputed Republicans' claims about job creation should the controversial Keystone pipeline from Canada to the Gulf Coast be constructed. The 2,000 temporary construction jobs he predicted - far less than the 20,000 some Republicans have said to expect - would be a "a blip relative to the need" for job creation. He suggested that concerns over the pipeline's environmental impact could be addressed to his satisfaction because "there is no doubt that Canada at the source in those tar sands could potentially be doing more to mitigate carbon release." In the interview, the president acknowledged that people are "anxious" and "frustrated" about their own financial future even while the economy overall improves. Some do not see the potential for upward mobility, which he called "part and parcel of who we were as Americans." It predates the fiscal crises of the last decade, he said, and despite the bloated national debt, the federal government's austerity measures have hurt the government's ability to effect change in diverse areas such as climate change and immigration. "I want to make sure that all of us in Washington are investing as much time, as much energy, as much debate on how we grow the economy and grow the middle class as we've spent over the last two to three years arguing about how we reduce the deficits," he said, blasting what he called "a damaging framework in Washington." And he issued a stern warning to Capitol Hill Republicans: "I'm not just going to sit back if the only message from some of these folks is no on everything, and sit around and twiddle my thumbs for the next 1,200 days." 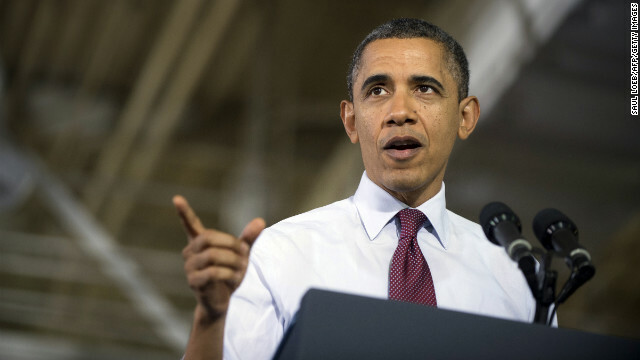 A series of polls this month have shown Obama's approval rating is below the 50% mark. But his scores - in the mid- and upper-40s - rank well above those of Congress, which came in at 21% and 12% approval in two surveys conducted about a week ago. Renewed focus? He never had any focus on what is good for every US citizen before? The community organizer experiment is a fail. I can't believe the vast majority of what is written in some of these posts. So many people throwing out words like 17 trillion in debt or the president is a destructive force or he hasn't done anything over the past 5 years. first off, while the debt has increased since he took office, he didn't create all 17 trillion over night and you have to understand that drawing down from a war can be just as expensive, if not more, than actually waging one. how many times has the republican party sat back and blocked bills. Bhoener himself said " congress should not be judged by how many bills they pass, but how many they deny." what the hell kind of statement is that? congress should be judged on how well they promote the national well being. I'd say they'd screwed the pooch all the way around for far longer than Obama has been in office. People are starving, injured, and even dying and conservatives are basically saying they're lazy and deserve to suffer. I was a republican. I was a loyal servant to this great country and i'll not hide that from anyone. After all i've seen though, i'm no longer an obstructionist republican and want congress, not just one man in the big white house, to get things done. Judge not lest ye be judged and i don't think anyone in congress is fit to judge the President, nor am i or any of you out there who would blindly stand in the way of progress for the sake of fear and ignorance. I like how people think Obama is the worst president EVUR when we have such stunning failures as Buchanan. He'll twiddle his thumbs into your wallet and make if weigh less.. He's been twiddling for 4 years. I don't think he's capable of change. At heart he's submissive, reticent, meek. Obama is trying to take attention away from the "bad press" he has been getting lately about NSA spying, etc. This is a topic that is really hard to defend since he ran against this practice in 2008. Now we find he has increased it astronomically. Obama is also trying to distract attention away from the fact that (all Republican nonsense aside) there are serious flaws in Obamacare and its enrollment starting October 1 is likely to be fraught with big problems and misconceptions. I don't think there is anyone I know who is aware of what is truly going to happen – and it's very unsettling. And I am talking from a very organized Obamacare state (California) who has it together better than anyone else. I don't know of anyone who knows the whole story of where insurance can be bought, by whom, and for how much. All we have been exposed to are the exchanges – but the marketplace is a lot bigger than that. Exactly the point. Mr. Obama's approach is... I'm doing it my way and too bad if you don't like it. The only problem with that approach is that he must have both houses of congress working with him. It's called negotiating, compromising, doing what's right for the country. He has to realize by now, with his approval rating below 50%, that the country is divided and increasingly unhappy with his performance. He has no choice but to deal and if he can't (he's been unable to for 5 years) he's simply a lame duck and the big issues won't get done or even discussed. He's effectively become a 1 term president who will be known for being the first black president, an unpopular health insurance law, and residing over the worst economy since Jimmy Carter and perhaps even since the Great Depression. What have the repubs done since taking control of the House? NOTHING. Dennis: Really? A 500% import tax on goods? Seriously?! Do you not think that the other nations that import OUR goods might retaliate in kind? What would THAT do to our employment situation here? Irony is people will still blame Bush. Makes no sense to me! Yawn......wake me when he starts to tell the truth. Put Obama's face on the penny. It's the only coin that Obama loving losers have. yes you will, we live in a democracy, you are not a dictator. I dont want to hear about the money Bush spent on the Iraq war, Obama is running up a tab as wee, The Obama administration is spending almost $9.5 million every single day to blow things up in Libya because the president has determined that is in the country's national interest, this country's national interest, not Libya's. President Obama has done more to get the U.S back in shape, in the last 4 and a half years, than we will ever realize. It's not our President that can't get things done .. he has to rely on Congress to let him .. and the Republicans in both Houses are not going to let him do anything that will give him credit. What our President's done is what he can, without their help .. because they are determined not to give him any help. They only know how to build walls. Realize that, and stop defending the ones that are doing you and me and everyone else so much harm .. it is not our President. As the great Clint Eastwood once said, "President Obama is the greatest hoax ever perpetrated on the American people." He is the most do nothing president in American history. All he does is give speeches on idealogy. Will 2016 ever get here? "Racial tensions won't get better; they may get worse, because people will feel as if they've got to compete with some other group to get scraps from a shrinking pot" ~OBAMA I don't think these 'hold-outs' are concerned with a shrinking pot as much as loss of perceived pride, dignity and superiority. Everyone bow down to King Obama. He does not need or obey Congress, ignores the Constitution and continues to lie and deceive everyday.